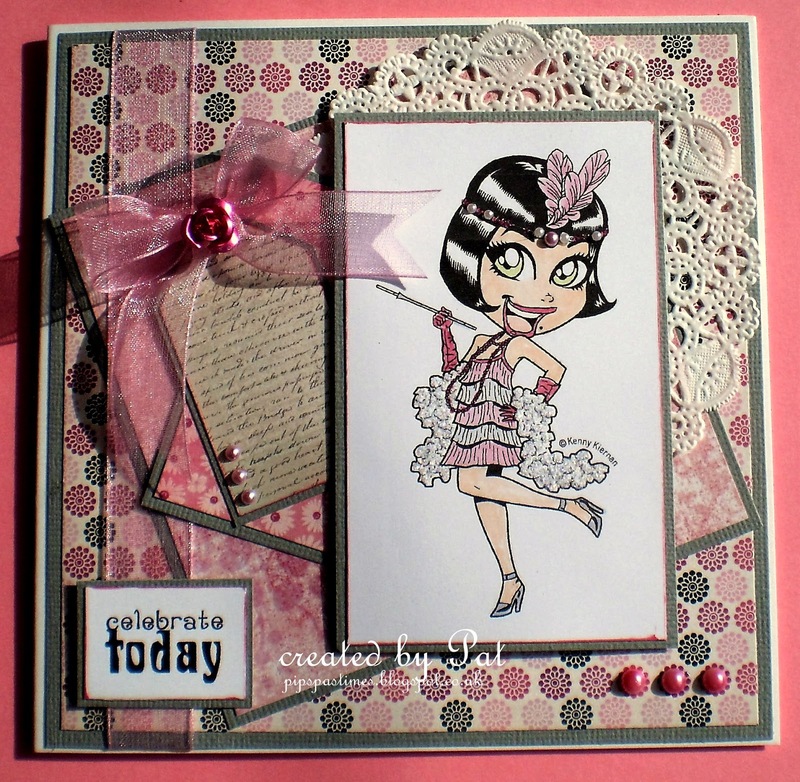 A super Flapper Pat and it looks lovely in the shades of pink. Ooh la la she is really having fun with the charlston there. Love the pink and grey. This will also be perfect for one entry as an anything goes creation for our challenge below. Fab card Pat, your colour scheme is so effective and I love the doilie. What a glamorous card, Pat! I love the Flapper girl - nd the doily looks so good, too! 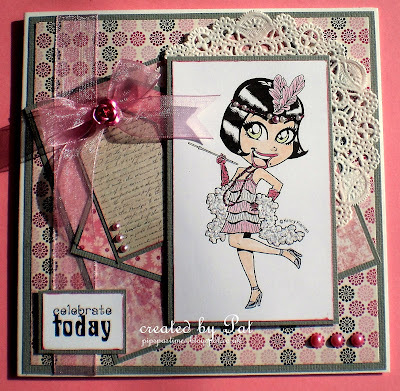 Gorgeous card Pat, love that Flapper with her beautiful shining hair, she certainly knows how to have a good time! Lovely L/O and papers too! Gorgeous card Pat, fabulous image, love the colours & layout. Stunning card, thanks for sharing it with us at Robyn's Fetish Challenge.